If you are in doubt, please compare sizing with one of your own heels (not your foot). We measured all the shoes and gave the best fitting sizes in our suizeguide. New! 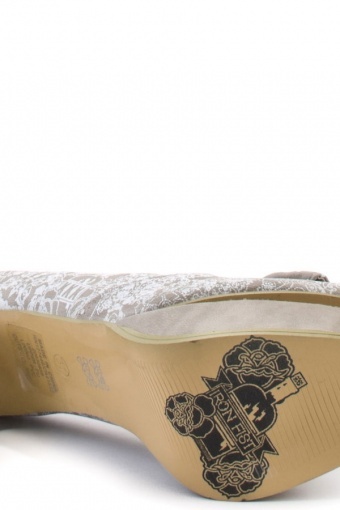 Booze Cruise Platform Stone pumps from Iron Fist. Take a cruise in these gorgous peep toe pumps. The Booze Cruise features a peeptoe and a 5 inch heel with a 1 inch platform. 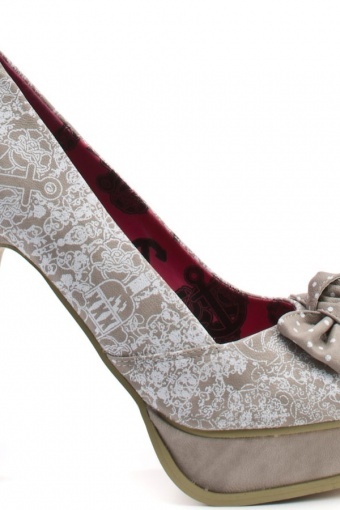 A stone and white polka dot bow accents this patterned style. The platform makes them surprisingly comfortable!